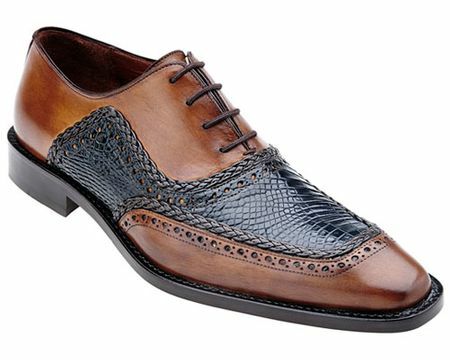 Shopping for deals on exotic skin shoes from Belvedere isn't as hard as you may think. When we have a last pair, we need to get them out of the warehouse quick and the only way to do that is to give you a deal. These tan and blue shoes feature calfskin and blue crocodile inlay. The real stuff. Full leather lining. Final Sale, sorry no returns or exchanges.